As reported by Deadline, HBO has picked up a new “event miniseries” Western—it’s not a miniseries, and it’s not an event series, it’s both—from Morgan Freeman, producer Lori McCreary, and Grey’s Anatomy’s James Pickens, Jr. 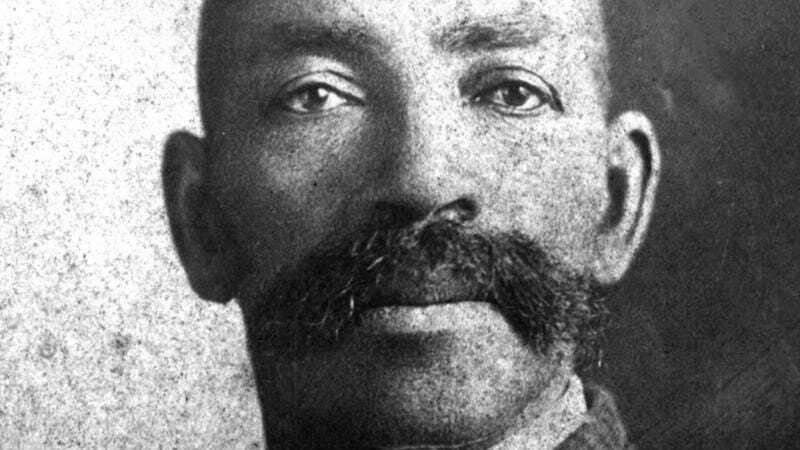 The series will tell the story of Deputy Marshal Bass Reeves, “one of the least known heroes of the Old West.” Reeves was an escaped slave who became a talented gunfighter while on the run, and he eventually became one of the first black U.S. Deputy Marshals. He was also “a master of disguises, a great shot, and one of the most effective lawmen in Indian territory,” and he was even reportedly the inspiration for the character of The Lone Ranger. So if this guy was so awesome (and he was, just look at that mustache), why isn’t he super famous? Well, Deadline notes that The Lone Ranger “could not be cast in that era as a black man, so he was made into a white man with a black mask.” In light of that, we’re going to blame Reeves’ undeserved obscurity on America’s history of stupid, stupid racism. That obscurity will hopefully dissipate soon, though, because Freeman—a self-described “Western fanatic”—is finally going to tell Reeves’ story after attempts to make a movie about him that date back to the ’90s. Freeman hoped to star as Reeves 20 years ago, but that was before he was 20 years too old to play a badass cowboy, so now he’s just hoping to play some smaller role in the series. Also, Bill O’Reilly—of all people—is working on his own version of Bass Reeves’ story for his Fox News show Legends And Lies. For the sake of optimism, let’s just assume that both will be equally good.